Flush Casement Windows from Cheam are brand new in the marketplace. A window that truly replicates the sight lines of traditional timber windows yet with all the cost savings of pvcu and none of the maintenance. 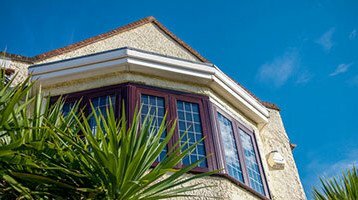 A thermally efficient and highly secure product giving you the look of traditional timber windows with all the advantages of pvc. Cheam Windows are very proud of their new Flush Casement Windows. Not least because they retain all the traditional looks of timber. These Casement Window offers high security and are great at keeping the heat in. This new Window has been made to replicate the look and feel of a traditional timber window. With it’s unique front to back sizes it will be the only window currently available that will fit into UK homes even where some timber cannot. Whilst made to replicate traditional timber windows, the Flush Casement Window from Cheam Windows also offers the latest in security with standard Bi-directional roller locks. Keeps and shoot bolts, monkey tail handles and casement stays are added for a great look. Side hung windows use the Cotswold friction stay. This is a high quality hinge that allows the entire sash to slide sideways. When opened this offers easy cleaning of the outside of the sash from the inside. Any style of window is possible including bays, bows, special designs and much more. You can also create bay windows, bow windows and one off designs as well as dummy casements, astragal bars and more. 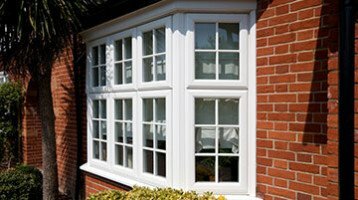 Timber windows are beautiful hand made products, but many customers can be put off by the higher price they command over upvc Windows. Most timber windows sold today are flush casement products. The new Flush Casement Windows from Cheam enable you to enjoy all the advantages of an authentic looking timber window at a fraction of the cost. If you live in a property that has flush casement windows in need of replacement, but were keen to keep the original look of your windows, the new Flush Casement window lets you to do so.